What if you knew that, each & every day, God is looking for you? What if there was a power that saw right through the mess you sometimes feel inside you and allowed you to start again? What if there was a gift of love & relationship waiting for those of you who feel the most difficult or lonely or lost? There is… it’s called Grace. This Easter, join us to discover the gift you didn’t know you needed. Everything could change for you when you realize the God of the universe is calling your name. I5 (birth-age 5) programming available at all Easter services. 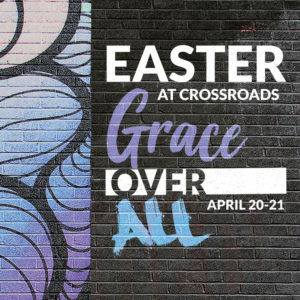 252 (K-5th grade) programming available at most Easter services (* indicates no 252). Also, join us for Good Friday services on April 19th!